Ah, the wedding cake. 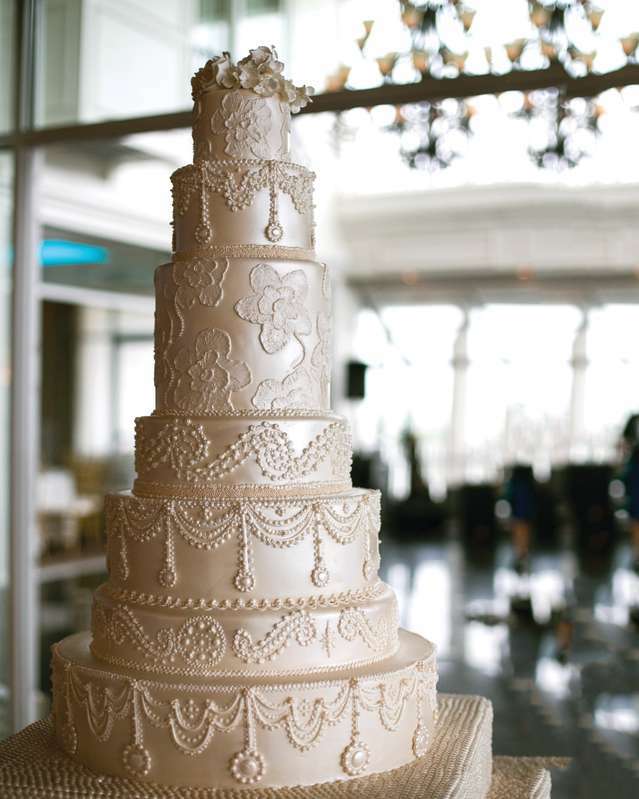 The highlight of most any wedding reception, the cake is also one of weddings’ oldest and most symbolic traditions. It’s said to bring good luck to all who partake of it. Its quality ingredients symbolize long-lasting, rich and happy unions, and even the bride’s first slice is said to bring good fortune to the marriage. With so much meaning baked right into it, some people pay more attention to this single detail of their big day than any other. The location, the menu, even the guest list often receive less scrutiny than the cake does. So if you’re among those who choose to put your wedding cake on a pedestal, so to speak, it’s hard to go wrong with so many outstanding and creative artisans around town—folks who know how to elevate pastry to the level of art and who can help make your wedding cake the second most jaw-dropping part of your wedding (after the bride of course!). “Cake technology” has come a long way just in the last few years—to say nothing of the hundreds of years of tradition and evolution they’ve already come through. Intricately themed cakes, multitiered cakes, even reflective cakes, are all the rage today. And you’ll find no more stunning examples than at Carlo’s Bakery, home to master chef and star of TLC’s hit show, Cake Boss, Buddy V. In addition to some of the most unique wedding cakes you’ll ever see, Carlo’s is also home to a ridiculously mouthwatering lineup of pastries, desserts and cakes. Long before television fame came calling, Buddy V and Carlo’s Bakery were crafting artworks that also happened to be fully edible cakes for discerning clientele for years. Visit their cake gallery and see an array of cakes so profoundly unique and gorgeous, they’re sure to stimulate your artistic sensibilities as much as they do your sweet tooth. We’re talking cakes so stunning that you’ll feel guilty cutting into them, so just make sure you get plenty of pictures first. Buddy V and the cake crafters at Carlo’s Bakery truly demonstrate how “tasty” and “tasteful” can combine to create the one-of-a-kind wedding cake you never even dared to dream of. Any visitor to Vegas knows that variety is what this city is all about, and the same applies to the wedding cakes one can find around town. Take, for example, the jaw-dropping variety of themed and styled cakes to be found at Freed’s Bakery. Just as no two brides are the same, and no two weddings are the same, you want to be sure that your wedding cake will be one of a kind. Nothing should be considered out of bounds, because nothing’s impossible, and no detail should ever be overlooked. It’s your wedding, it’s your theme, it’s your chance to see your wildest dreams baked into reality and covered in frosting. Have you ever seen a Vegas-themed cake? Freed’s has a huge selection of cakes specifically themed around this one-of-a-kind town. How about an art deco cake? An abstract cake? A rock ’n’ roll cake? That incredible confection you pinned on Pinterest? If you can imagine it, Freed’s can do it. Favorite movie? Freed’s can turn it into an edible award winner. Go ahead and express yourself, show who you are and what you love (in addition to who you love! ), and let the folks at Freed’s turn it into a truly unique expression—in pastry form! But if the glitz and glamor of Hollywood and the world of show business are your thing, there’s nowhere better to turn than the unique characters at SHOWBOY BakeShop. These film and theater veterans claim the most unique cakes in show business and they’re not kidding. With a flair for the dramatic and an eye for the eye-catching, they are the perfect guys to put your wedding cake in the spotlight and make it a true star in its own right. Really, no one wants a wedding cake that just plays the role of an extra on their big day—they want a cake that can stand up and take a lead role (or at least a supporting character!) and deliver an award-worthy performance. And the showmen at SHOWBOY make it happen every time. Just bring them your most starry-eyed concept and they’ll direct you a masterpiece that will have even the most jaded critics salivating. Winners of the Rugrats 25th Anniversary Cake Wars Challenge, Stephen and Jared have combined their love of pastry with their love of show business to present Vegas-area patrons with some of the most unique and glamorous pastry creations to be found anywhere. From their often outrageous flavors to their intricately detailed designs, every creation out of SHOWBOY’s kitchens is sure to be a scene stealer that will leave audiences enthralled. It’s true, a Vegas wedding can be anything you want it to be. 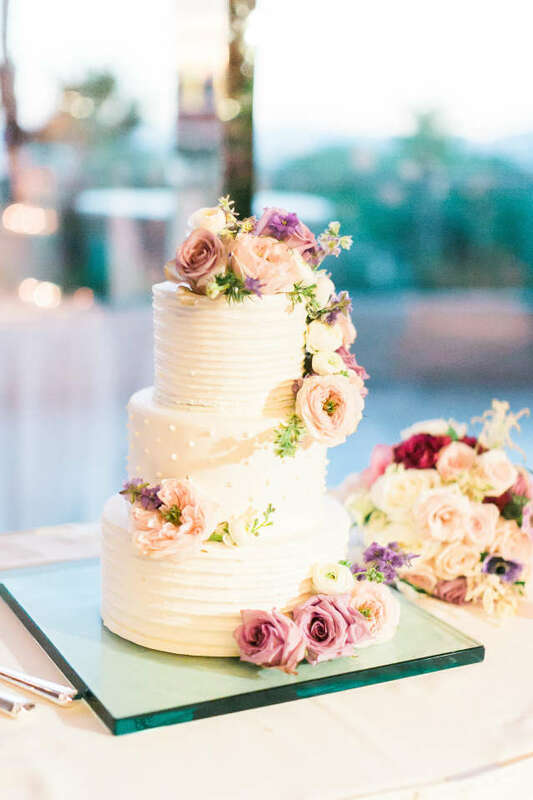 But no matter what direction you choose, the cake is the centerpiece—and with so many talented and creative artists around town, your Vegas wedding can be the unforgettably tasteful and unimaginably tasty occasion you’ve always dreamed of.